“There he goes again, a man on a mission!” That “man” being my 13-month-old son. His mission: Climb up on sofa with stuffed blue dog, throw blue dog over the back of the sofa, slide backwards off of the sofa, run around to retrieve blue dog. Repeat. Repeat. Repeat. Repeat. Repeat. Repeat. Repeat. Repeat. Repeat. Repeat. Repeat. He would repeat this sequence for hours. Every. Day. His hair would be drenched with sweat, and any attempt to interrupt this ritual was met with screaming, hitting, and tears. I tried easing the feeling that something was ‘off’ about his behavior by telling myself he was just having fun, which was mostly believable, except for the fact that the look on his face was always fierce concentration, not joy. Looking back, I see this ‘game’ he played was actually a huge RED FLAG. What can these Restricted and Repetitive Behaviors look like? Some of the most common RRBs are body movements (spinning in circles, hand and arm flapping, opening and closing doors), insistence on sameness in routines or object placement (lining toys up, becoming upset when routine is altered), intense focus or obsession with certain objects or topics (video games, cartoon characters) and self-injurious behavior (hitting him/herself repetitively). These repetitive behaviors are also a part of typical toddler development, so it can be difficult to distinguish if what you are observing in your child is typical or red flag behavior. 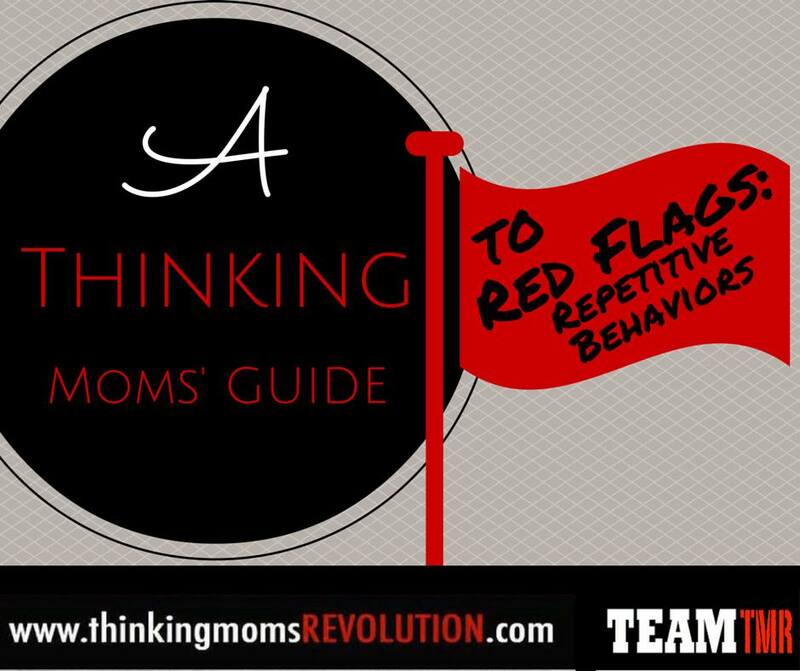 How can you determine if the behavior is a RED FLAG? Generally, the repetitive behaviors in typically developing children peak around 6 months of age. If the child’s repetitive behaviors increase and persist past 12 months of age, this is a RED FLAG. The more RRBs a child displays, the bigger the RED FLAG. If you go to extreme efforts to prevent any change in their routine to avoid a meltdown – RED FLAG. If the intensity and obsession with the behaviors prevent learning or are major disruptions – RED FLAG. Keeping a journal is a great way to track behavior. Make note of any behaviors that are considered RRBs, paying special attention to when they initially begin, their intensity, how often they are displayed and when. By doing this, you may see emerging patterns, giving clues to what might be triggering the repetitive behaviors. Maybe they are occurring when your child is happy, or tired, or anxious, or over-stimulated, etc. Maybe they engage in the repetitive behavior when they are trying to avoid an activity, or are in pain, or after they eat certain foods. This can also help narrow which avenues to take if you decide to look into treatment therapies. There are different therapy approaches that address these repetitive and restrictive behaviors. Many parents have seen wonderful progress and an increase in connection with their children through the Son-Rise program and RDI. The Professor wrote an amazing blog that discusses one possible reason why this approach can be so effective. TheABA method focuses on redirecting the repetitive behavior to something less disruptive and then reinforcing the new desired behavior. As with any autism treatment, behavior therapy is not ‘one size fits all,’ each child responds differently. What may be effective for some, can have the opposite effect on others. It’s important to research the different therapy methods, and be flexible in changing direction if you need to. Listen to your gut! With my son, I believe the trigger for his repetitive behaviors was inflammation. Once we started biomedical treatment and his body started healing, the behaviors lessened. (Related study: http://autism-nutrition.com/repetitive-behavior-in-children-with-autism). We tried ABA therapy when he was younger, but it just wasn’t right for our son. We did, however, see many positive outcomes when we joined him in his world, something we still do today. He still occasionally focuses on his interests in a way that could be classified as atypical, and he does flap his arms when he gets excited, but the behaviors are easily redirected when they need to be and don’t impact his life negatively. It’s been 10 years since my son’s daily blue dog ritual and even though the repetitive behaviors have almost all disappeared, I have a feeling blue dog will always be with him. Frankie is Mom to three amazing children who, along with her husband, are her heart and soul. At the age of three, her son was diagnosed with PDD-NOS, and she was told his future would consist of group homes or state-run facilities. 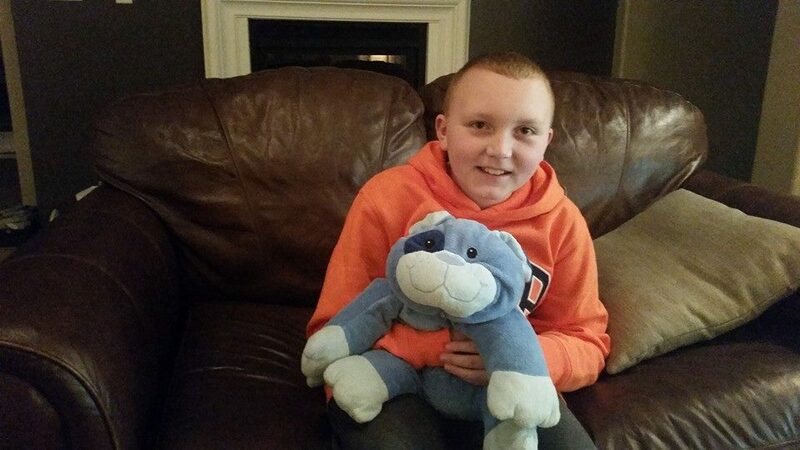 With biomedical treatment (and a lot of sweat, tears, humor and love), he’s now recovered. She tossed the rose-colored glasses, rolled up her sleeves and made his recovery her mission. She hopes his story inspires others to do the same.